4th April 2016 I filmed the tedious process of soaking Oscar's hay, something I endured daily throughout Winter, year after year because the days when I didn't he'd cough, a dry dusty cough, it wasn't chronic and something I had discussed with my vet...but it was always there in Winter, a few coughs when I first jumped on him in the morning, or as I walked him out to the paddock. It caused me so much torment that I didn't leave Oscar in anyone else's care last Winter being on a complete DIY livery yard asking the odd favour is acceptable but a line is drawn at soaking by a stopwatch and dragging heavy haynets out to drain. 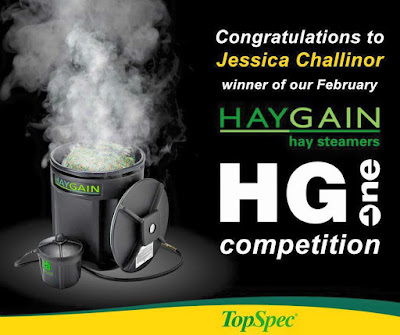 I longed for a Haygain Hay Steamer and in desperation entered one competition every day during December 2015, only not to be chosen. Never one to be deterred I entered another Haygain Hay Steamer competition, this time in association with TopSpec in February 2016...it seemed a distant memory when I received a surprise e-mail some two months later informing me I had won a HG One+, I was and still am overwhelmed because it really has changed both mine and Oscar's lives for the better. The HG One+ is the smallest of the Haygain models designed to feed one horse and hold 8kg of forage either in a haynet or loose wedges, I weigh Oscar's hay and overnight allow 6kg packed into a haynet (the haynet is used for ease of steaming, I feed from the floor) which fits comfortably into the HG One+. Perfect in size, it takes up little space at the yard, lightweight enough for me to move it easily unassisted and it is portable so can be conveniently taken to shows/stay aways. 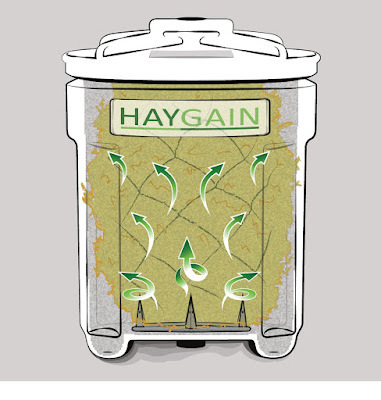 Using a Haygain Hay Steamer to steam your horses forage has been scientifically proven to eliminate harmful mould and fungal spores, bacteria and dust mites - research into this can be found on the Haygain website. When I first read the instruction manual - which I actually did, from cover to cover and I would recommend everyone to do so before using a Haygain for your own safety - I was a little overwhelmed, how to set it up, where to plug it in, how to time the 60 minutes, but after the first week I had my routine. Now my hay steams as I muck out, ride, take to and bring in from the field, change rugs, make up haynets for the week, I also find due to the size of my HG One+ and because it is not overloaded with forage it takes less than 60 minutes to reach optimum temperature and I can leave hay in there if not yet ready to feed. 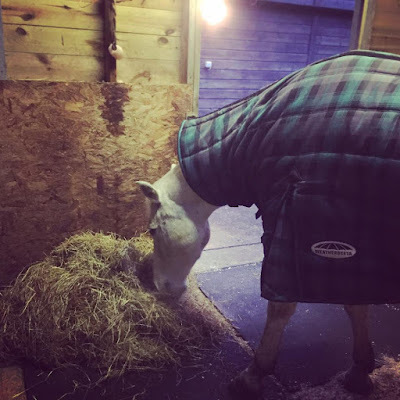 I could have easily reviewed my Haygain Hay Steamer in May however I'd only used it for one month when Oscar went out 24/7 for the Summer months meaning my Haygain wasn't in constant use and I wanted to be certain of it's features and benefits before sharing on Gee Gee and Me. I can now write with confidence having lightly used throughout the Summer and daily since October 2016, Oscar has not coughed, he has zero nasal discharge with clear lungs and breathing, whether we're schooling, hacking or going up the gallops - a regular jolly we enjoy. I have also steamed hay and left it to be fed within 24 hours with the same success meaning I can ask the odd favour and not feel I am putting on my fellow DIY liveries too much. 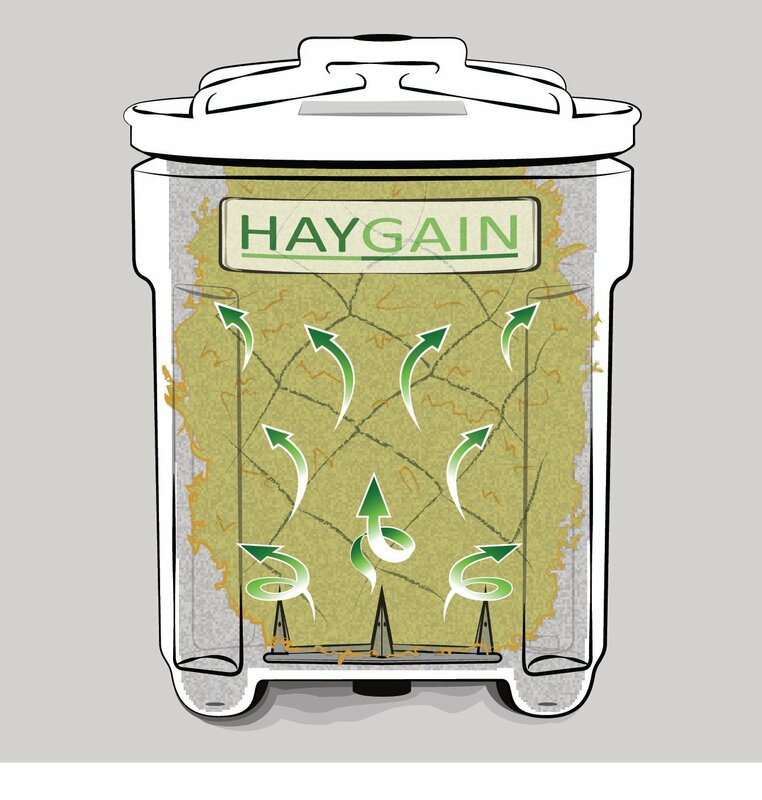 A Haygain should be an essential on every yard especially one where people soak their hay, long term it could be more cost effective, plus the health and increased performance benefits are clear to see and backed up by science. I may be a mere mortal who only owns one horse purely for pleasure yet I will never be without a Haygain Hay Steamer a worthy investment and when compared to made to measure boots, comfort bridles and saddles it's very reasonably priced...and shouldn't good health come before all of these things...? Thank you Haygain and TopSpec - Oscar continues to be fed on TopSpec Lite Balancer and TopChop Zero, looking and feeling fabulous.